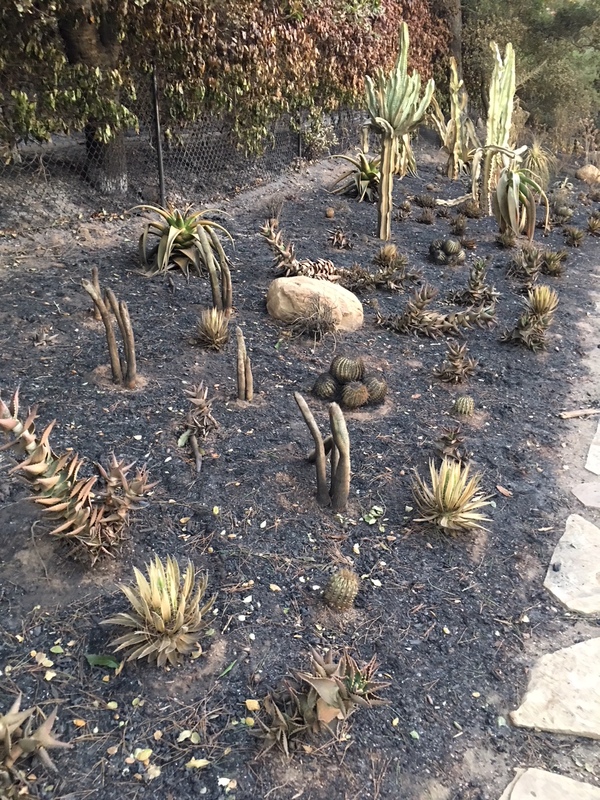 Fifty shades of gray – that was what I saw through my tears as I snapped photos of my gardens after the Thomas Fire. 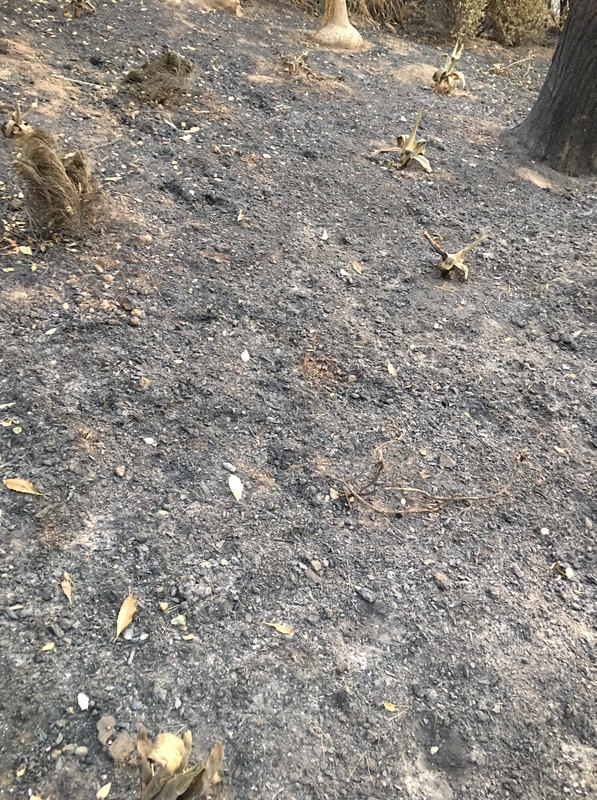 By comparison, photos I took the day before we evacuated were a kaleidoscope of vibrant colors and textures, just like the ‘Latest Photos’ sidebar. 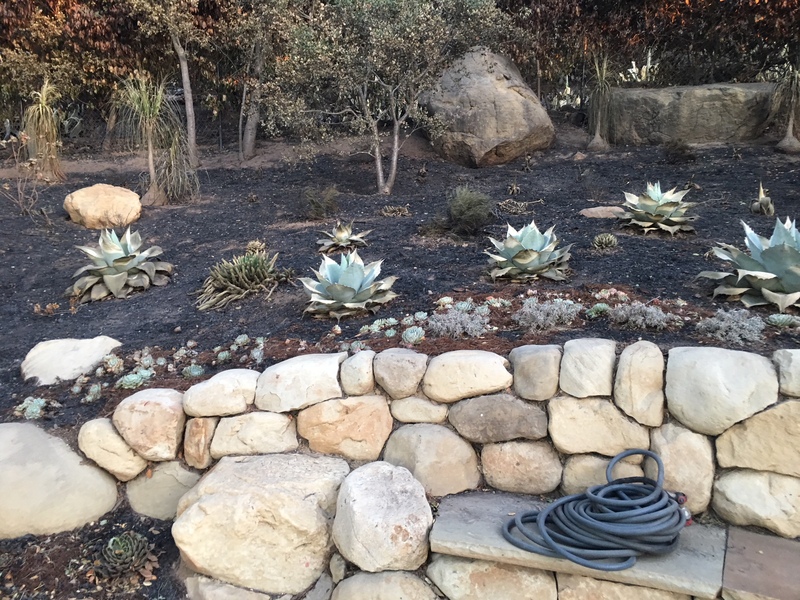 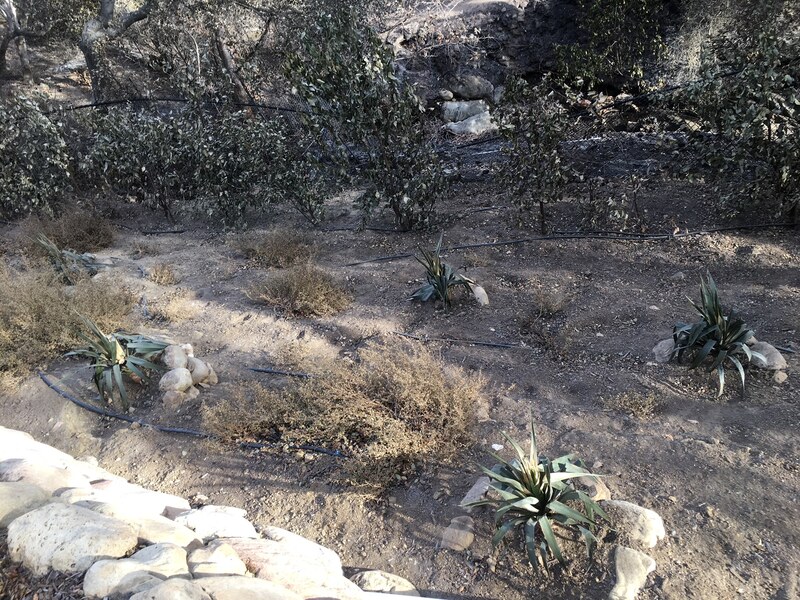 Our 5-year transformation to water wise and lush gardens went up in flames on December 16, 2017, fanned by Santa Ana winds and fueled by dense vegetation that had not burned in 80 years in nearby Los Padres National Forest and peripheral ravines. 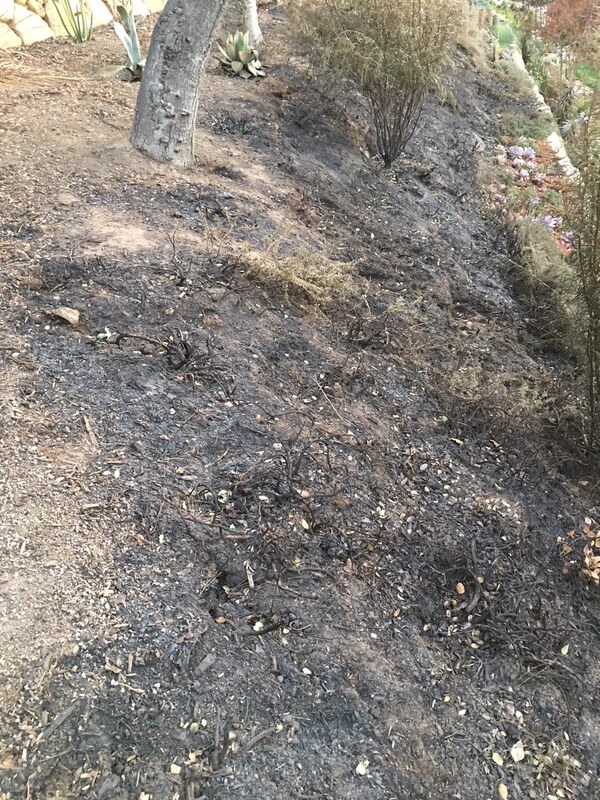 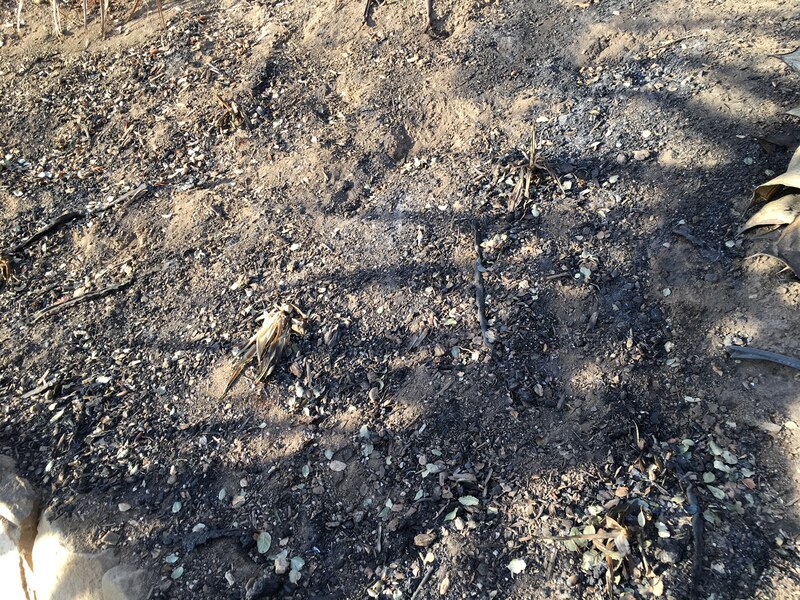 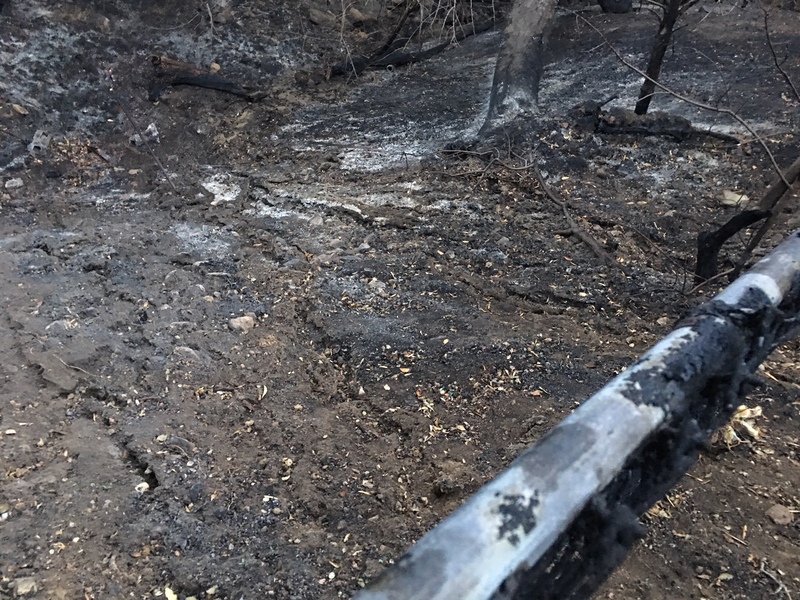 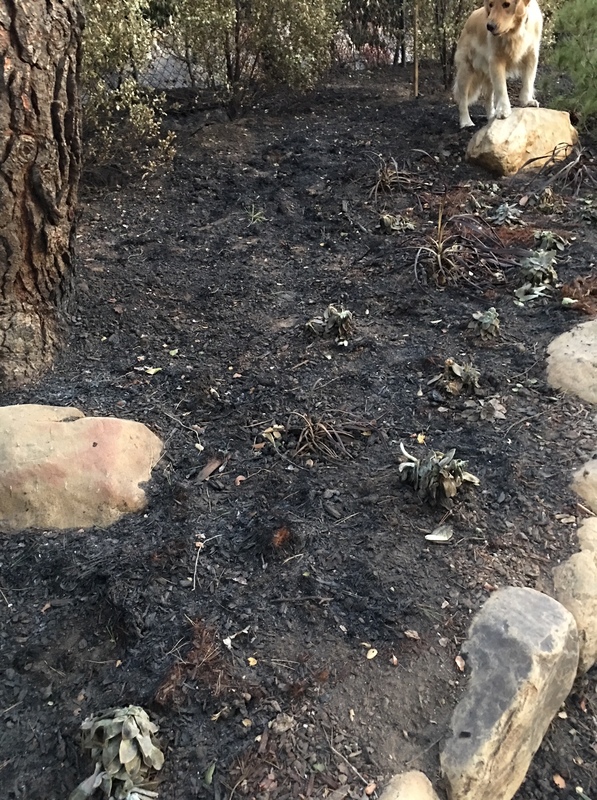 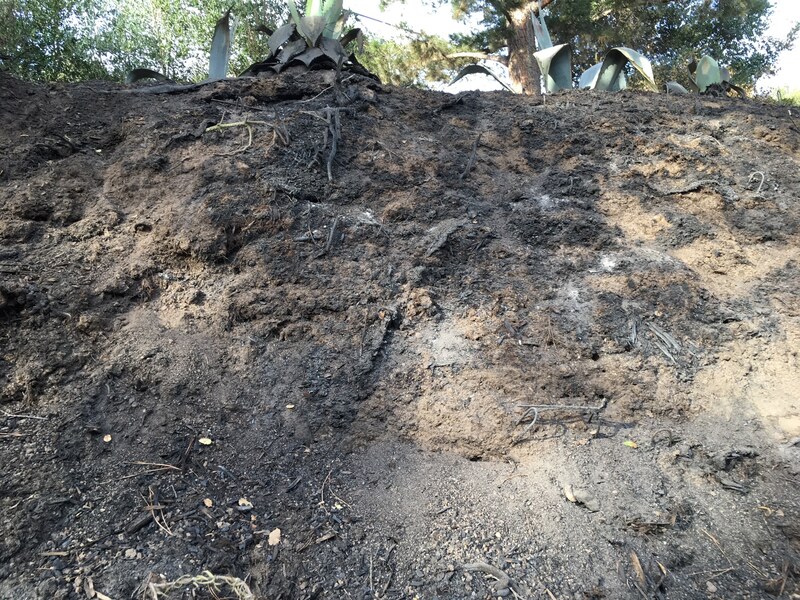 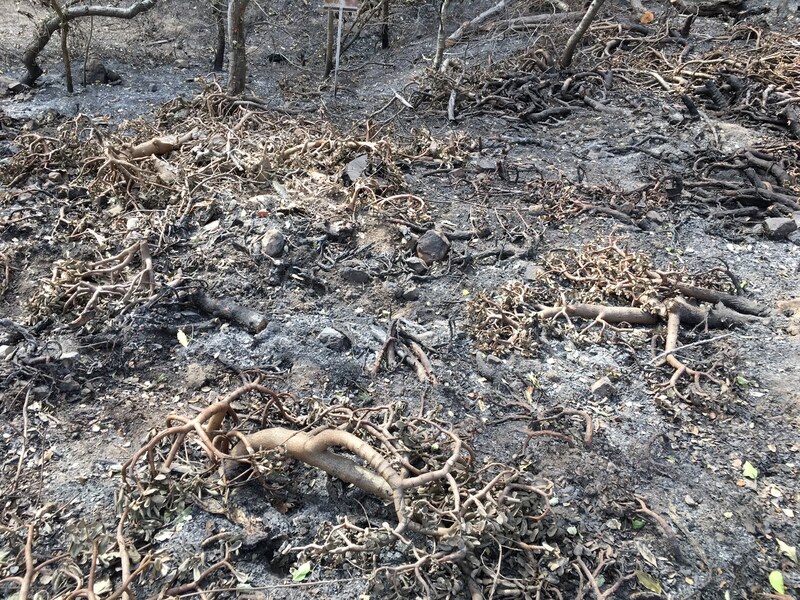 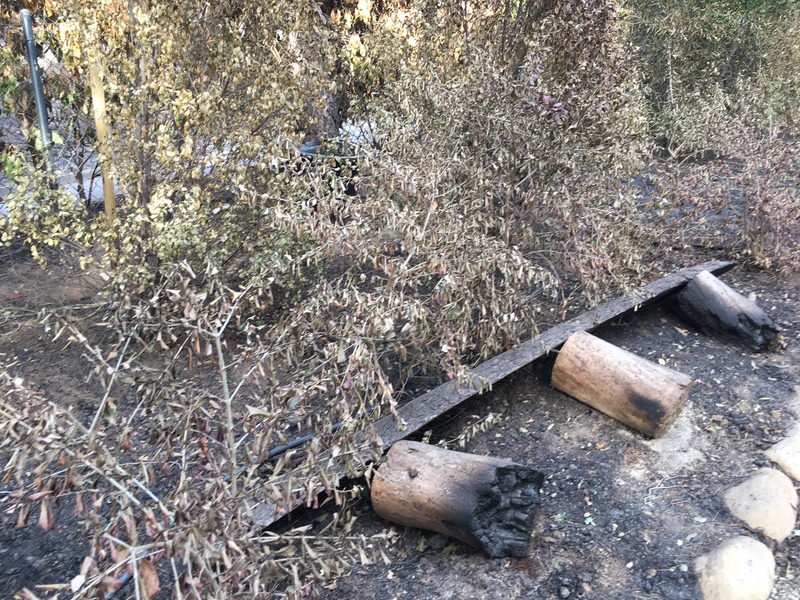 As you see below, the fire wiped out most of our plants, irrigation, and landscaping lighting, leaving in their place scorched earth, plant remains, melted drip lines, and ash. 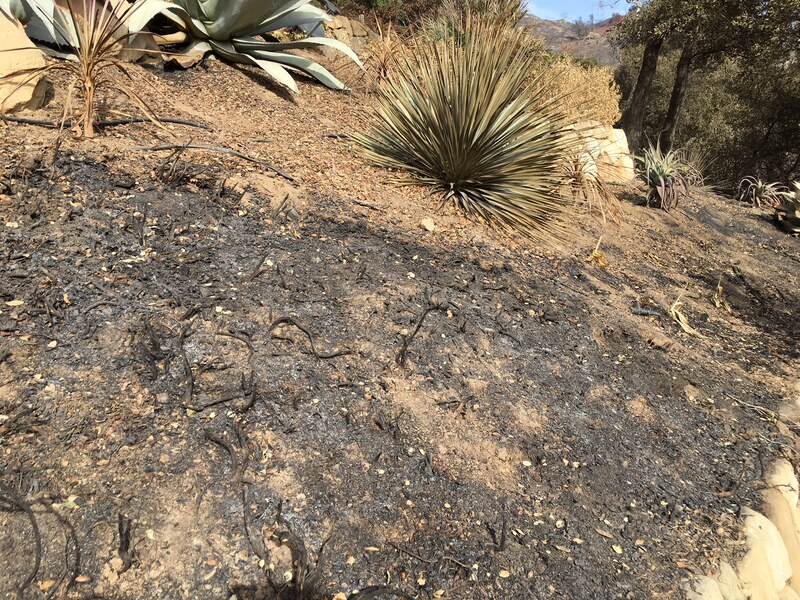 Now, almost 3 months and a devastating debris flow from record rains on fire-denuded hillsides later, the phoenix is rising from the ashes. 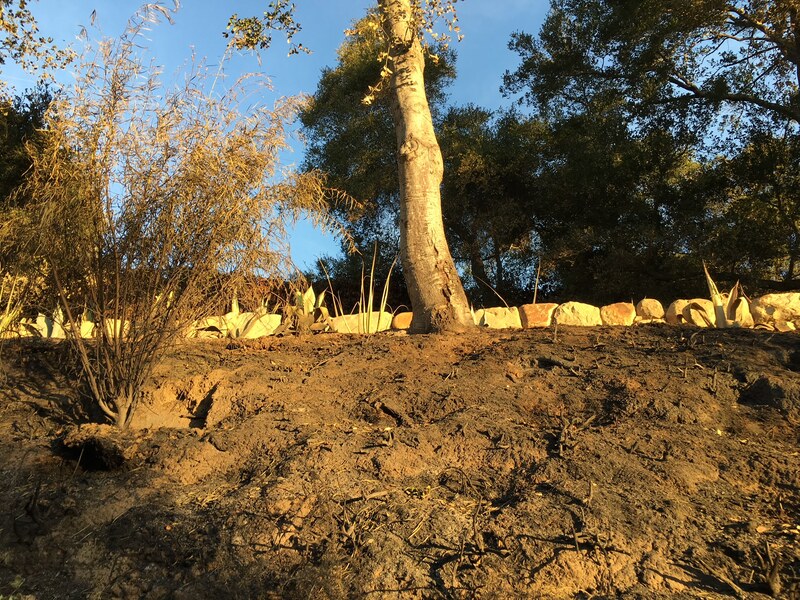 Future blog posts will share learnings and progress as we rebuild.